This entry was posted on September 22, 2017 at 8:23 pm	and is filed under Friday Photo. 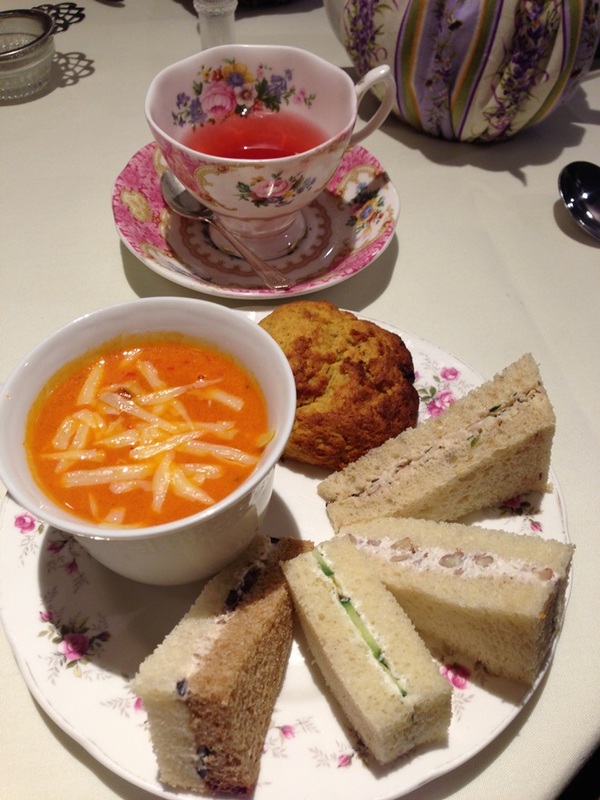 Tagged: birthday celebration, Friday Photo, good tea lunch plate, Lisa's Tea Treasures. You can follow any responses to this entry through the RSS 2.0 feed. You can leave a response, or trackback from your own site. It was! We are going again this year but it will be in October. Love the tea set. What exactly was the food? Looks good. Oh, I don’t remember, it was so long ago. I think it was a tomato soup because I was surprised I liked it. There was a Cucumber Mint tea sandwich, a Parisian Chicken Croissant tea sandwich, a Roquefort Pecan tea sandwich, and a Olive and Cream Cheese tea sandwich — maybe. The only one I am sure about is the cucumber one! 🙂 It was good!